The question on whether or not you should try to earn your MSN degree depends more on your specific situation and goals. Some of these goals could be that you are seeking a higher education experience, career advancement opportunities, professional status or even just a personal fulfillment. No matter the exact reason that has led you to consider going back to obtain your Master of Science in Nursing degree, there are some things that you should know. An MSN degree is a postgraduate level degree for those working nursing profession as a Registered Nurse (RN). This is considered the minimum or entry-level degree for someone to become a nursing educator or a manager. A Master of Science in Nursing may also be utilized as the prerequisite for a Doctor of Nursing Practice (DNP) degree. An MSN degree was previously necessary to work as an Advanced Practice Registered Nurse (APRN). This included positions as a nurse practitioner, nurse anesthetist, nurse midwife, and a clinical nurse specialist. However due to the vast changes and increasingly complex health care system, the move was made that advanced practice nursing positions should hold a doctorate level degree by 2015. You have a few choices when it comes to deciding which school you would like to pursue your MSN degree. You will need to make sure that the school and program you choose has the proper accreditation from a national body such as the Accreditation Commission for Education in Nursing (ACEN). You can also check with your state’s Board of Nursing for any state approved programs. Believe it or not, there are some great online MSN programs. There are a number of extraordinary reasons why someone should consider getting their degree via distance learning. This is a great solution for those that already work a full-time job, have other commitments or do not live close enough a traditional program for the commute. The prerequisite requirements to embark on the course of an MSN degree include having previously earned a Bachelor of Science in Nursing (BSN). Most schools will also require copies of your undergraduate transcripts, a fully-completed application, some references, and possibly an essay regarding your intent to study for the degree. You should contact the school of your choice to find out all of the necessary requirements to enroll in their MSN degree program. It should be pointed out that enrolling in a nursing school is very competitive right now. You may have to keep a few schools in mind, especially if your undergraduate grade point average wasn’t spectacular. It won’t be impossible to get in to a program, but you might not get your first choice. If you happen to be a Registered Nurse (RN) with an associate’s degree (ADN) or just the RN diploma, you can still earn your Master of Science in Nursing through an RN to MSN bridge program. Normally these programs will take two to three years to complete and can be extremely cost effective. Much like the regular MSN programs, you will still need to complete the prerequisites in order to enroll. The course of study to obtain the MSN degree will take between 38 – 56 semester credits, depending upon the state regulations and school requirement in your area. The courses are generally made up of four different segments, beginning with areas of clinical concentration, followed by functional role concentration. The studies then move into support courses and a research segment. The support courses will augment and supplement your chosen path from the clinical and functional parts of the curriculum. Core courses will include general studies on the topics of world health, managements practices for clinical and facility operations, interprofessional organization and systems leadership. Additional core courses may touch on informatics and changes in medical technologies, health care policy and advocacy, and quality improvement and safety in health care systems and environments. 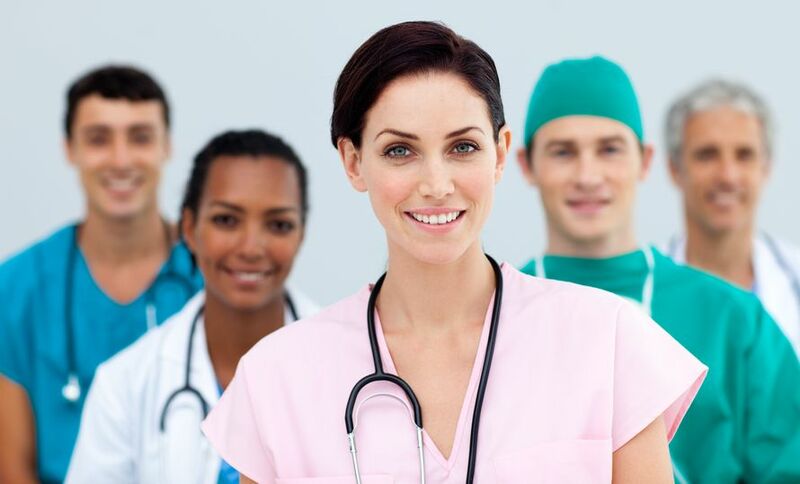 Nurse Practitioner – the nurse practitioner has more clinical independence than other types of nurses, can diagnose and prescribe for patients, and bill insurance companies for their time and procedures. Nurse Midwife – the nurse midwife specializes in healthy baby deliveries and related procedures, events that are considered to be low risk. Certified Nurse Midwives practice in hospitals, clinics, birthing centers, and may attend at home births, as well. Nurse Educator – this designation qualifies you to teach prospective Licensed Practical Nurses and Registered Nurses in schools or clinical situations. Nurse educators can generally teach in an area of their choosing, without additional education. Nurse Administrator – the MSN Nurse Administrator prepares you to administer nursing programs in hospitals, clinics, and other settings. It is considered a leadership role within nursing, and the duties would be like any administrative position in business, in charge of scheduling, hiring, firing, training, and generally administering employees under your supervision. Nurse Informatics – informatics is one of the hottest areas in medicine today, and will likely keep growing at a very rapid pace. It is the science and management that integrates nursing, its information and knowledge with management of information and communication technologies. Technology is impacting medicine as it is in every other industry, and the need for skilled people to manage the technology of information will continue to grow. Adult Gerontology Nurse Practitioner – in this field you are taught to assess, diagnose, treat and manage a variety of health issues occurring in adults age 18 or older. Many MSN graduates can begin or resume work immediately upon graduation, but some specialties like Nurse Practitioner will require successful completion of a certification exam, which varies state and federal regulations. The demand for MSN degree nurses is going to continue to be strong for the foreseeable future. The MSN degree can provide you with advance opportunities, higher earnings, and a much large field of concentrations to choose from. Nurses that choose get their MSN degree will find their lives and careers demanding, ever-changing, and rewarding.